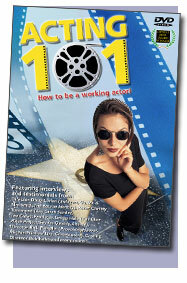 Acting Tools and Resources, Casting Call Sheet, Talent Agent Directory - gives you the advantage over the competition. It's back! 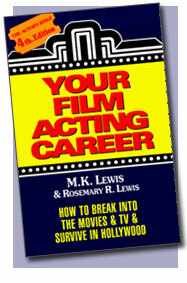 The classic book about acting in Hollywood actors have nicknamed "The Bible," in a completely new and revised edition. 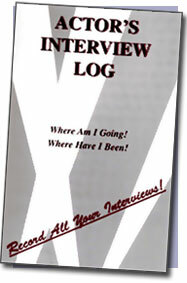 More..
Actor's Interview Log is an essential 'no-frills' audition log book for working as well as established actors - a place to record all your interviews! More.. Performer's Workshop Log is an organizational book for all areas of the performing arts. 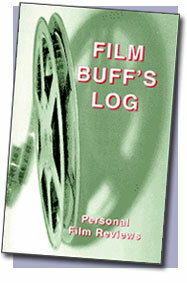 More..
Film Buff's Log is a journal for the film critic in all of us; a reference log of your own thoughts on all the films you have seen. 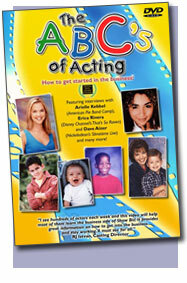 More..
DVD A sensible step-by-step guide for newcomers to the acting business that will save you valuable time while looking out for your children's best interest. An absolute must for any parent. More.. 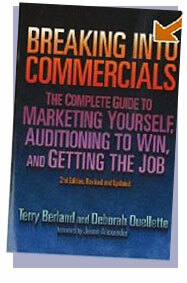 This DVD is a must for anyone just starting out in the business (or even thinking about it). You will learn from working actors, casting directors, producers and talent agents how to approach acting as a full-time career. 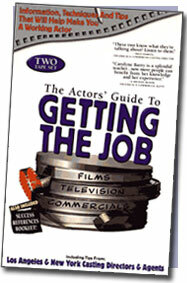 More..
2 CD set designed to help educate the actor about many of the integral facets of the commercial, film and television business. A supplemental booklet is also included. More..